[PRWeb | Vancouver, December 7, 2015] Vitrium announced today the release of its Application Programming Interface (API) for its popular document security solution, Protectedpdf. The new API will allow developers to integrate their software and workflows with Vitrium’s DRM and document encryption software. Developers in the document management and enterprise content management (ECM) space will be able to set up their applications to interact with Protectedpdf and take advantage of document security features, such as PDF encryption, password protection, copy and print control, document expiry, reader access control, watermarking, and more. With the flexibility of being able to select the services that fit their needs, developers will enjoy the ability to truly customize and control their document security implementation. – Chris Butlin, President & CEO, Vitrium Systems Inc. The Protectedpdf API was built using the RESTful framework, allowing it to connect with back-end or front-end systems and seamlessly mesh with a company’s document workflow processes. 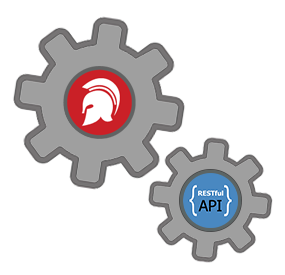 Following best practices of RESTful APIs, Vitrium has compiled comprehensive and detailed documentation that will provide developers the ability to get up and running without the need to contact Vitrium’s support team. Vitrium’s API documentation includes detailed descriptions, responsive values, and sample code for each method and input parameter. Live API documents lets developers quickly test out all the calls in line without the need for additional software. The API documentation is always kept up to date and can be accessed within the Protectedpdf application.